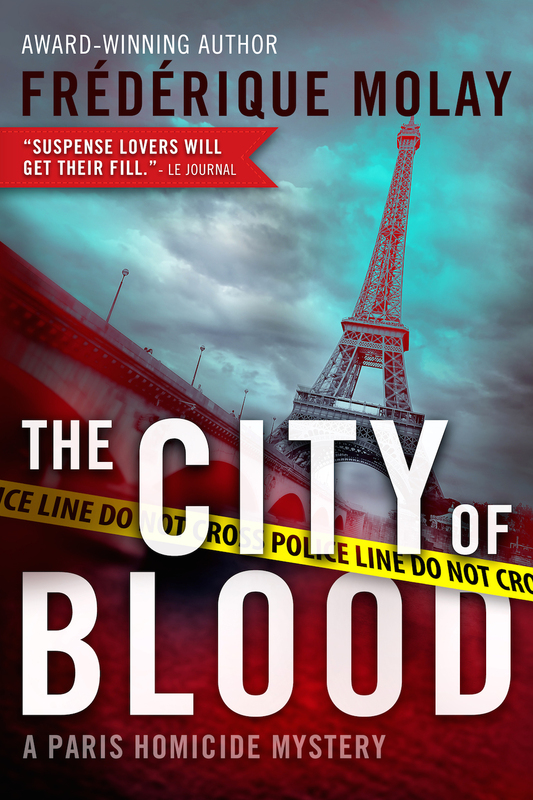 Thanks to Azam Gill, The Big Thrill ran a long interview of Frédérique Molay this month, following the release of The City of Blood, which is part of the Paris Homicide series. 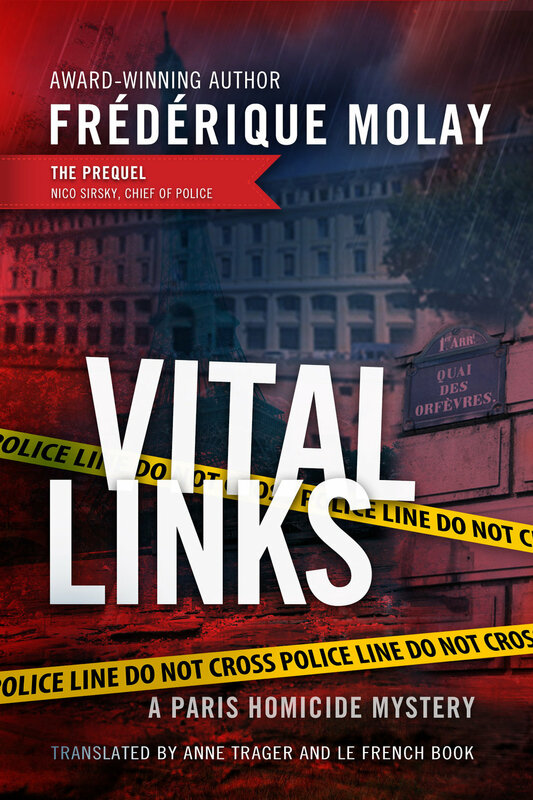 Find out if she is related to Jacques de Molay, Grand Master of the Knights Templar, what she thinks about the differences between French and American thrillers, transcending the limits of a French readership, French "Jack the Rippers," where she finds her inspiration to write these police procedurals set in France, and much more. The latest Paris Homicide mystery takes place for the most part in the vicinity of La Villette park and museum complex in the northeastern part of the city. The complex is built on what used to be the city's central slaughterhouses. One nickname for the area gave the name to the novel: The City of Blood. But, that's only looking at the dark side. If you go by a local restaurant's take on neighborhood history, it could have been called a "temple of meat." Of course, this being France and all, there is a food heritage related to that time in the city's history, and the city's butchers had their favorite cuts of meat. Today, if you see entrecôte la villette on a menu, it refers to a steak with chopped shallots, fried lightly in butter (lots of butter), served up on top of the meat, with a pinch of chopped parsley, a few drops of lemon juice, salt and freshly ground pepper. In the novel, Sirsky and his team end up at a restaurant in the neighborhood and they eat meat, of course, rare, with fluffy fried potatoes. If you happen to be in Paris, you can find the chateaubriand des bidochards and a pavé des mandataires at a restaurant called Au Boeuf Couronne, at 188 Avenue Jean Jaurès in the nineteenth arrondissement—the "Temple of Meat in Paris," according to the website. Translator Jeffrey Zuckerman on a lesser-known part of Paris: La Villette. For most tourists, Paris is a very compact city—here the Eiffel Tower, there the Arc de Triomphe, a few blocks away the Louvre—and any expeditions to, say, Monet’s garden at Giverny are a good two hours away. But of course Paris is more complex than it would appear at first glance. The new Paris Homicide mystery. Le French Book asked me to translate a Parisian mystery novel—The City of Blood by Frédérique Molay—and when I read its first page, I realized we were in a part of Paris most people weren’t thinking of. A proper look at its map would show a large park within the city limits, to the north and the east: the Parc de la Villette. Once the site of Paris’s animal slaughterhouses (earning the place its nickname “The City of Blood”), it has in the past few decades been turned into a grassy meadow with beautiful buildings and sculptures. This is the setting for The City of Blood’s murders, and watching Police Chief Nico Sirsky make his way through the park’s various corners reveals a deeply fascinating place. Many pictures of the Parc de la Villette feature the Géode, a large and mirrored Epcot-like geodesic dome that houses an IMAX theater. There are various themed gardens, including a perfectly maintained French church garden. Red architectural follies provide views over the entire park. And there are large, grassy meadows. In the book’s opening pages, a trench is being excavated and the archaeologists at work come across a skeleton among the remains. The whole thing has unexpectedly been caught on national television, and so Nico’s forces have to scramble to stay ahead of the cameras and the crowds. It is a whole new terrain for the police forces, who usually find themselves in dark alleyways and narrow, eighteenth-century buildings. The Parc de la Villette lost its nickname decades ago, but The City of Blood brings its history back, both in the research the police do and in the discoveries they make during their investigations. It may no longer be a slaughterhouse for animals, but Nico and his loyal force are working their hardest to make sure it doesn’t become a slaughterhouse for people. And the result is a riveting book, a perfect addition to the Paris Homicide series.